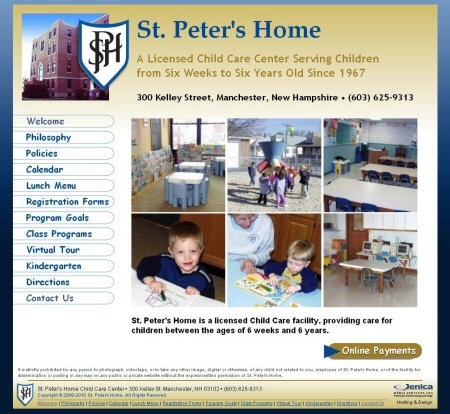 Problem: A well run day care facility, but their site was very outdated, gave basic information about their services, but the staff had no ability to keep their content fresh and interesting. Solution: A new look was created using our Freedom platform and the site now has more photos of the children at play, updated registration forms, a new lunch menu and events calendar. We also added eCommerce so parents can pay their tuition online in the near future. 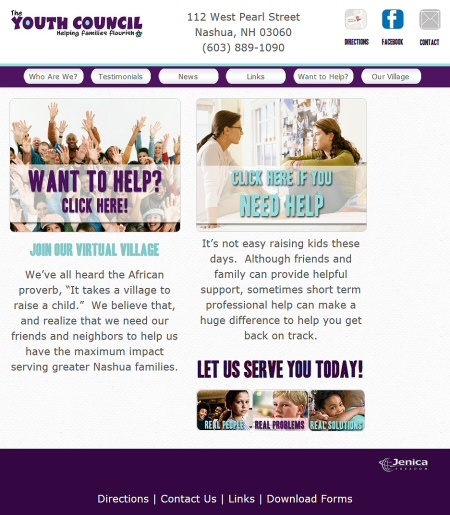 Problem: Needed a site that could be maintained by agency staff, could grow over time as our needs changed and one that allowed parents and volunteers throughout greater Nashua to sign up for programs online. Solution: Using our Freedom content management solution, allowed The Youth Council and NH Teen Institute to update their contents and keep in touch with volunteers and members. 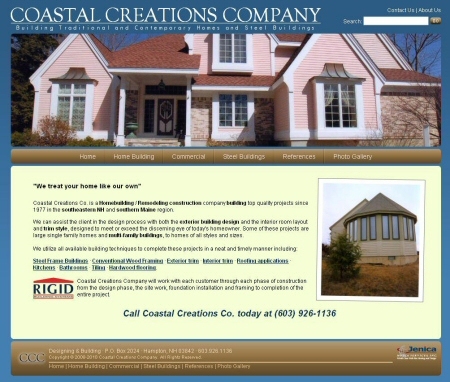 Problem: The site was badly outdated and the owner had no time to update it. The site style did not lend itself to easy maintenance and updating. 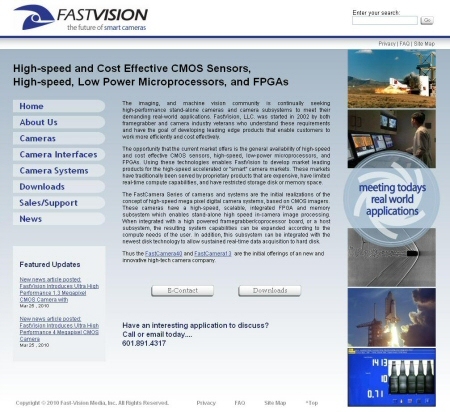 Solution: Using our Freedom solution and with a new design in place, they now have the ability to update their product pages, add new pages to list all of their high speed camera products, keeping their information fresh and appealing. Problem: This customer had a poorly designed, unfinished site that used outdated software, with no functionality. They felt they were left at the mercy of a webmaster who was never available to complete the site. Solution: We redesigned the website using our Freedom content management software, and now they have the ability to update it and add new photos to show off their work whenever they want it done. 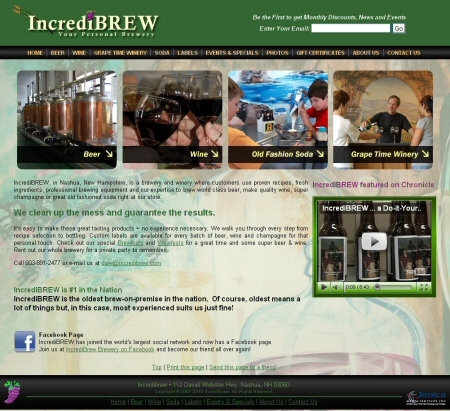 Problem: IncrediBREW did not have the ability to sell gift certificates online and had to wait a long time for the webmaster to make changes to the site including updating videos. Solution: We converted their existing design to Freedom CMS and added eCommerce so they could sell gift certificates online while saving valuable time and money. Created a youTube account and converted all their videos, embedded them into the website, while keeping the site fresh and interesting to their customers. Solution: We designed a very simple, pretty, yet calming looking site that has resulted in bringing in new business for this local therapist. “Having a website has really helped grow my business, despite the economic climate”, says owner Clara Levesque of Nashua. Comfort food with a creative twist! Problem: updating the site was awkward and sometimes worked and sometimes didn't. 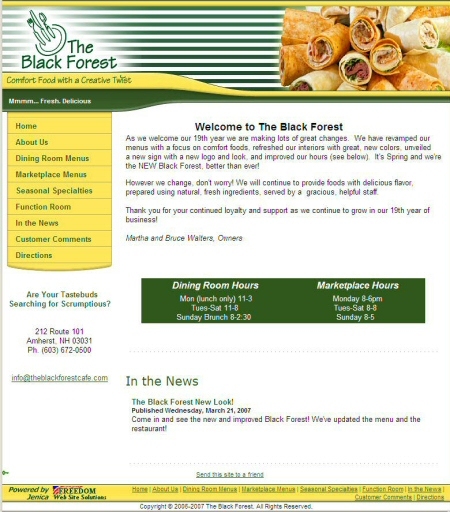 The site style did not lend itself to easy maintenance and updating of their menus and food photos. 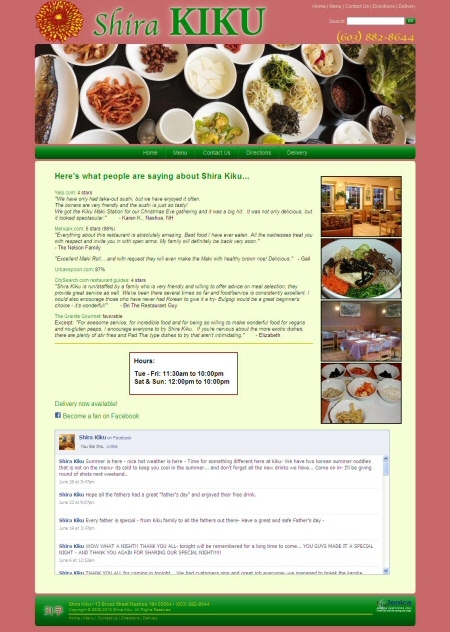 Solution: With a new design in place, an easy to edit website, they now have the ability to update their menu pages, add new pages to list all of their fun events, show-off their awards, display photos of their yummy food and turn their site into an interesting stop on the highway. 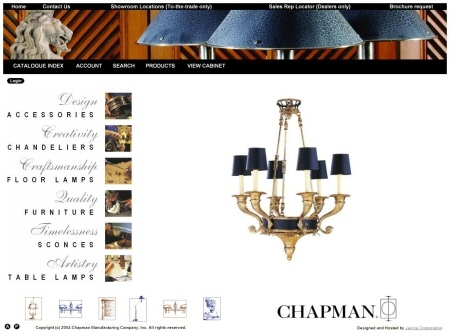 Exclusive program tailored to the needs of Chapman’s elite interior design clients. Problem: Wanted secured website for products only for wholesale customers. Solution: Jenica created a secured website using Miva website solution with login to their wholesale customers. World renowned leader in the home furnishings industry. 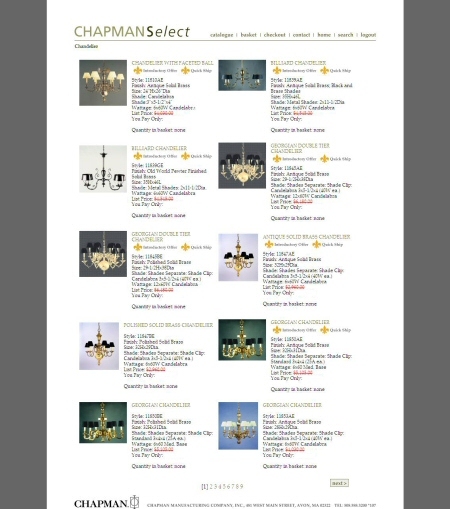 Problem: Using their site to show customers an array of products to choose from but did not allow for saving the photo and description of the product so they could come back and purchase later. Solution: We gave them a robust shopping cart solution with a special module that allowed the customer to save all of the product details and then come back to the store to purchase later. We also implemented an online merchant account so they could accept payments online and ship orders to their customer’s.